This boating safety course will be given by certified instructors from the Coast Guard Auxiliary on May 10th from 8 am till 5 pm at Rock Lane Resort and Marina. After completing the program, a test will be given and those who pass will receive a certificate stating they passed the course. Any one born after January 1 1984 and wanting to boat on Missouri waters is required to pass this test to get a boating license. For those born before 1984 it is beneficial to learn boating safety and the laws involved in boating. Show this certificate to your insurance company, most will cut your premium when they see this. National Safe Boating Week is May 17-23, 2014. Now that the weather is warming up, we’re ready to get outside and enjoy Table Rock Lake near Branson, Missouri. Families and friends are enjoying the Lake boating. Be safe when enjoying lake activities. Most boaters have not had their boats in the water yet this year. Boaters should inspect their vessels to make sure all equipment is in good, serviceable condition. To make sure all our boat’s equipment is in good working order the Branson Boat Club has the U.S. Coast Guard Auxiliary do an annual equipment inspection. Nearly 88 percent of the estimated 500 people who drown each year from recreational boating crashes were not wearing a life jacket.It’s important that everyone wear a life jacket at all times when boating on the lake. Missouri law requires children under seven to wear a life jacket when on a boat. The Branson Boat Club follows the recommendations of the National Safe Boating Council, U.S. Coast Guard Boating Safety Division and National Association of State Boating Law Administrators to encourage safe and responsible boating, including wearing a life jacket. Boating crashes happen without warning and too quickly to reach for a life jacket. 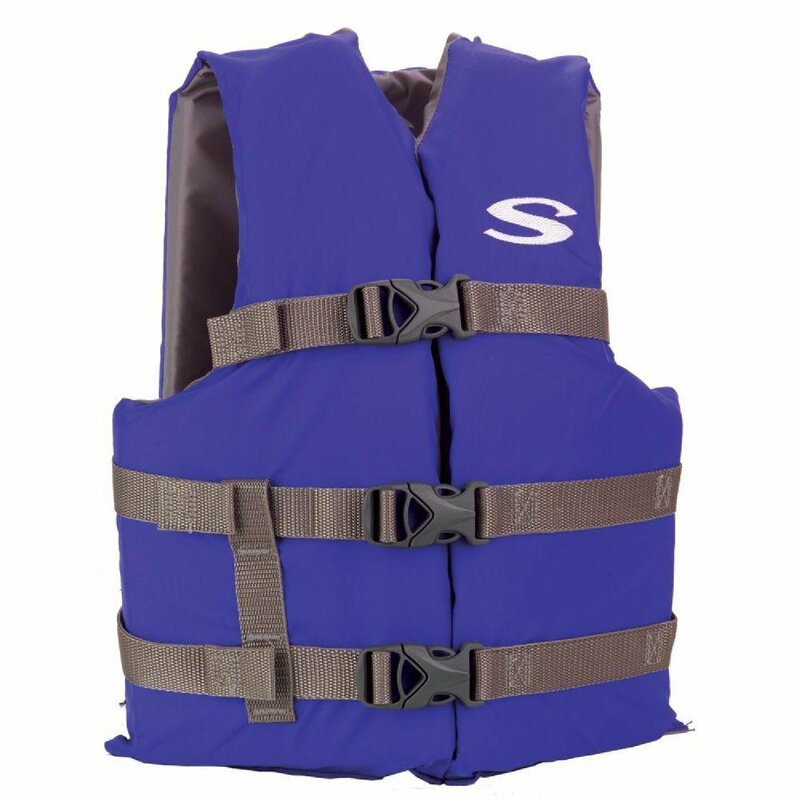 88 percent of the people killed and injured in Missouri boating crashes in 2013 did not wear life jackets. Pay attention when enjoying Table Rock Lake and make sure you have an approved life jacket for each person in your boat that fits properly. 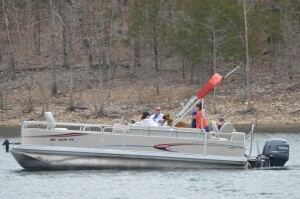 2) Know Missouri’s boating laws. 3) Check the weather forecast before boating, and watch for changing conditions. 4) Keep in touch. Bring your cell phones. 5) Do a float plan and tell someone at home when you are leaving and returning. 6) Don’t drink alcohol while boating. Boaters can contact the Missouri State Highway Patrol using *55 if needing help. The annual WK Lewis Shoreline Cleanup on Table Rock Lake is the first Saturday in April, that’s April 5th, 2014. Through the work of volunteers this project has, to date, removed over 179 tons of trash and 2,800 tires from Table Rock Lake! This is a great annual project for all our fellow boaters to get involved in. Help do your part to improve our Lake Experience. Trash bags, gloves, water bottles (please recycle), snacks and dumpsters to throw the trash into will be furnished. Place appliances or tires along side the dumpster to be picked up separately and recycled. Help by gathering your friends, neighbors and family to form a team for the cleanup. You can clean up your location or we will help you coordinate a new area to clean up. Upon completion of the cleanup all participants can receive a free t-shirt and a coupon for a free night of camping at any Table Rock Lake Corps of Engineers campgrounds once they register their cleanup team. The weather forecast for Saturday April 5th, 2014 is Sunny and a high near 60. Who could ask for more? So call today and let’s put a team together and do our part.